Catch a Shuttle to the Bucks Game! Ride with Saz's to every Milwaukee Bucks home game at the Fiserv Forum all season long! Whether you choose to head to the pub for a day of drinking, have a proper Irish family feast or throw an epic St. Paddy’s Day party, be sure to make the most of this festive day of Irish pride! And if you’re not sure how you’re planning to enjoy the day, here are a few of our favorite ways to celebrate! Saz's is pleased to support the Steven Cullen Healthy Heart Run/Walk taking place Saturday, February 9th, 2018 at Underwood Parkway in Wauwatosa. Register and join us in this yearly tradition to raise awareness for the fight against heart disease. Catch the Golden Eagles with a complimentary ride from Saz's State House to every Marquette Basketball home game all season long! Get your bowls ready, the Lakefront Brewery and Engine House 19 Chili Cook Off returns to Lakefront Brewery Sunday, February 11th, 2018! Saz’s will be bringing the heat with its award-winning four meat chili. We proudly took the win last year and are on the prowl for a repeat! Making its Milwaukee debut, the mesmerizing and highly-acclaimed production of Anastasia is coming to the Marcus Center for the Performing Arts July 23-28, 2019 and we’re welcoming this remarkable musical inspired by the beloved films with Dinner and a Show July 25, 2019. Ring in the new year with style and a special chef-inspired menu! On Monday, December 31st, 2018, join us at Saz's State House to celebrate the arrival of 2019 with a special New Year’s Eve menu just for the occasion. 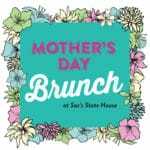 Make gift giving easy and share the #SazsLove with a Saz's State House gift card. It's the simplest way to give the gift of Saz's to your friends and family. As a holiday bonus, purchase $100 in gift cards and get $20 for yourself! As part of our Wedding Expert Series, we ask our Saz’s Catering team to share their insight and provide helpful tips to ensure your wedding is a complete success without the stress of wondering if you’ve covered every angle. In this edition, we talk about preparing for the unexpected with Operations Specialist, Bryan Neuschaefer. Inspired by the flavors of the season, Our Chef-Inspired Seasonal Creations menu features items that can be added or substituted for any Saz’s Catering menu selection, adding a uniquely festive spin on a standard event menu. Ride Saz’s Packers Shuttles to Lambeau!  Cheer on the green and gold with Saz's on board our coach shuttle to Lambeau Field for every Green Bay Packers home game, complete with premium open bar, a Saz's boxed lunch and complimentary Wi-Fi! Now booking for the 2018 season! The breathtaking production of Rodgers & Hammerstein’s The King & I is coming to the Marcus Performing Arts Center April 9th-14th and we’re welcoming this stunning musical to town with Dinner and a Show April 11th, 2019! Join us for very special Dinner and a Show, featuring The Book of Mormon, January 3rd, 2019, and be wined and dined with an evening that includes a chef-inspired four-course dinner at Saz’s State House, orchestra seating for the show and convenient shuttle service to and from the Marcus Center for the Performing Arts!